In April, we reported that Ruby Sparks directors Jonathan Dayton and Valerie Faris had been hired to direct Battle Of The Sexes, a movie about the famous 1973 tennis match between Billie Jean King and Bobby Riggs. The project was described as a “comedy with dramatic and political overtones,” and it was set to star Emma Stone and Steve Carell as the eponymous sexes. 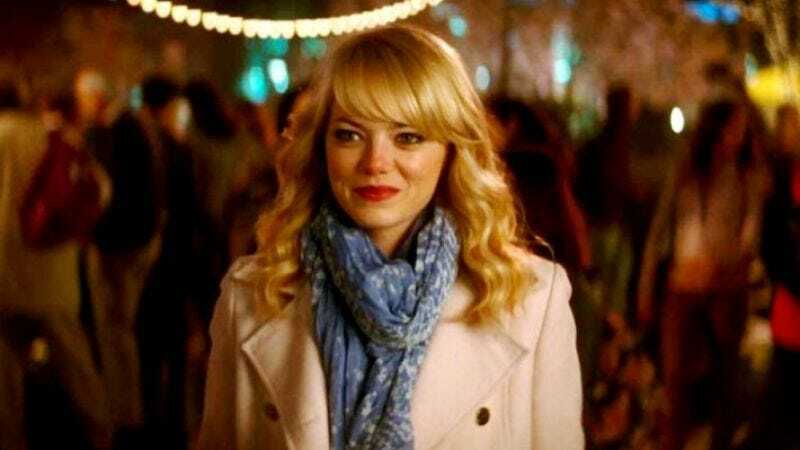 However, at some point between then and now, Stone had to drop out due to scheduling conflicts, prompting the studio (Fox Searchlight) to move on to the poor man’s Emma Stone, who is apparently Brie Larson. According to Variety, though, Stone will not allow herself to be replaced by Brie Larson in any capacity, so those scheduling conflicts have conveniently disappeared. Now Stone is officially on board to play King, though Carell is still only “set to play” Riggs, so maybe he’ll end up being replaced by the backup Steve Carell (Ed Helms, probably).